Casting is the process of melting metal into a desired liquid and pouring into casting mold. Then by cooling, solidification and cleaning process to get the reserve shape, size and performance of casting. Casting blanks have been reduced due to the near-forming process, thus reduce the costs and production time of the parts. Reducing the deformation resistance of the metal, thus reducing the forging pressure needs of the bad material deformation. Changing the casting structure of the ingot, then recrystallization during the hot forging process to improve casting tissue, thus reduce the defect of cast structure and improve the machinery performance of steel. Finishing is a kinds of precision machining method which is developed based on the stamping technology of original punching machine. The result of machining methods is that there is no crack and tear on the whole thickness section of the stamping parts. Welvome visit our parts finishing services for your more Auto Parts Manufacturing needs. Based on different machining processes, the machining cost is not difference. Of course, we will have professional designing & technology team to service for you, and get you the best proposals and supports on this. We will be able to meet your any requirements. 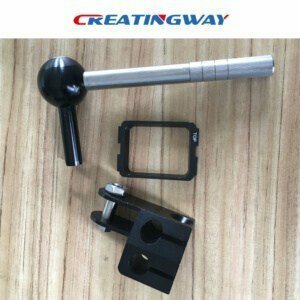 Creatingway always provide these more The Applications of Auto Parts Manufacturing to customers, welcome visit our CNC machining manufacturing and sheet metal fabrication, low-volume production services. We will get you best support and help for your projects.